1. 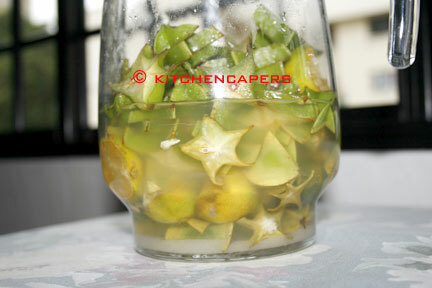 Wash, clean and slice starfruits. 4. Put the contents in a glass jar, tighten the cover. 5. Leave it aside for 7 days. Loosen the cover every alternate day. 6. Every day you should see some bubbles building up in the jar. It should smell of wine and not mouldy. 7. After the 7th day, you can open the jar, sieve out the wine. 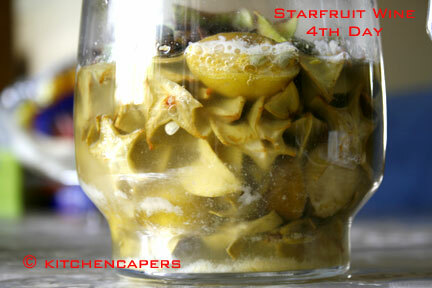 The starfruits tend to oxidized and change colours. Throw away the fruits. 8. Harvested wine should be kept in the fridge. Drink it cold with ice. How big are the starfruits? Are they normal size or small ones? From the pictures, they look like small ones. Must we only put the not-so-ripe ones? Or can we put in ripe ones? I have another neighbour who grows the green colour jambu tree..and never harvest the fruits. she leave it there to rot! die die must try..! 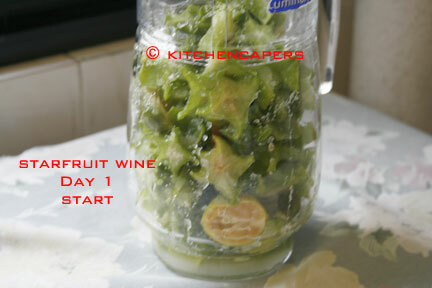 now hubby ask me to make more starfruit wine. we both like it more than the apple wine. The girls loved the apple wine..now reduced to 500ml. The one I made using 10 green apples yield 1 litre! The next time you make this, can you please weigh the fruits? yes madam..going to make it soon..coz my bottle of sf wine is now left with 100ml! Gina, I tried making apple wine last week and only manage to yeild about 100ml from 5 apples..
do i have to add any wine teast to it ? 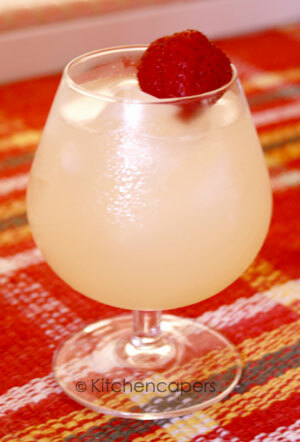 just fresh fruits and sugar.